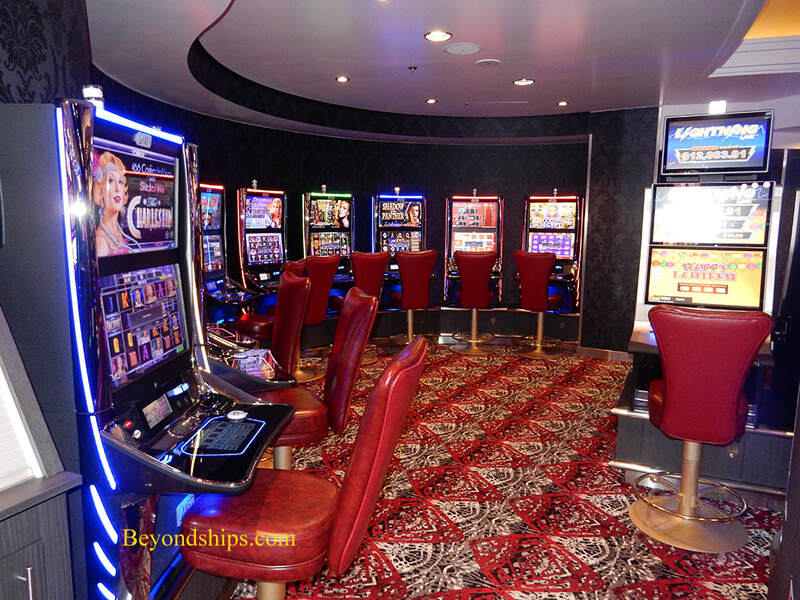 The Oasis class ships have three principal entertainment venues as well as several smaller venues. Reservations are encouraged for the shows in the principal venues. 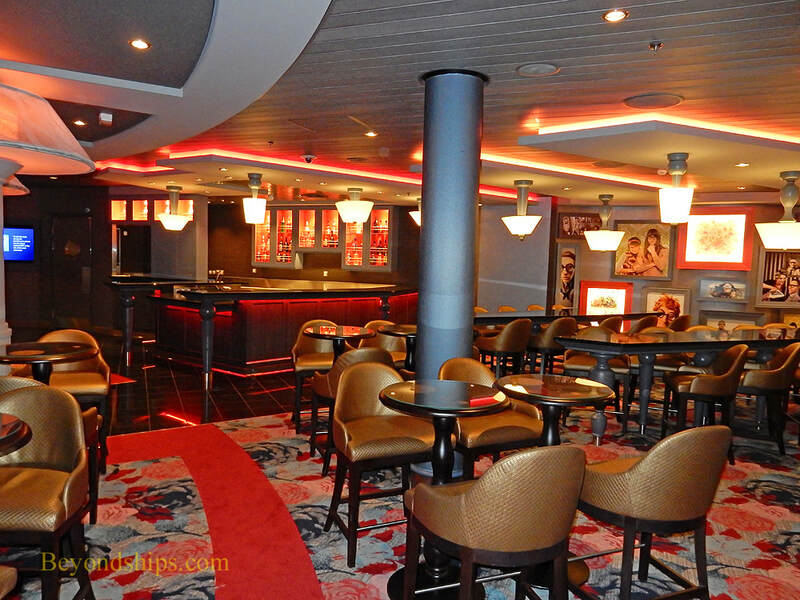 However, walk-ins are seated, space-permitting, after the guests with reservations have been seated. The most traditional of the principal entertainment venues is the Royal Theater. It is home to two production shows. "Hairspray" is a production of the early 1960s-themed Broadway musical while "Flight . . . Dare to Dream" is a musical developed by Royal Caribbean. Reservations are usually needed for the former but not for the latter. The theater is also used for shows featuring visiting entertainers, game shows such as the "Love and Marriage Game" and for movies.. 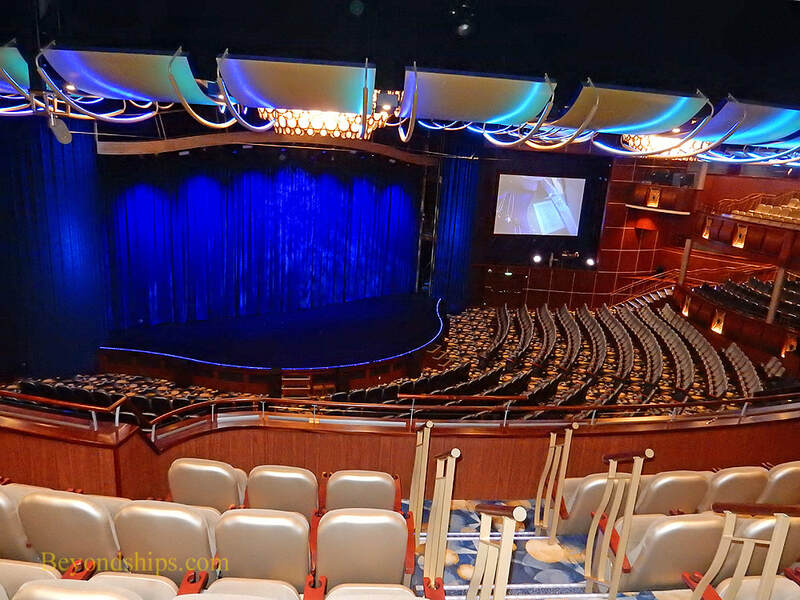 The second of the principal entertainment venues is the Aqua Theater, an amphitheater at the back of the ship. 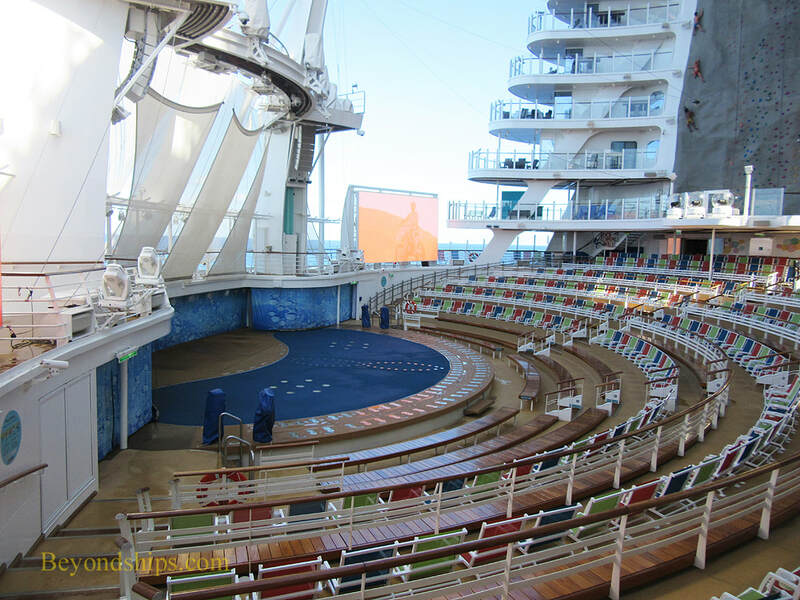 The seating surrounds a pool, the floor of which can be raised to make it a stage. Towering over the pool are two diving platforms. 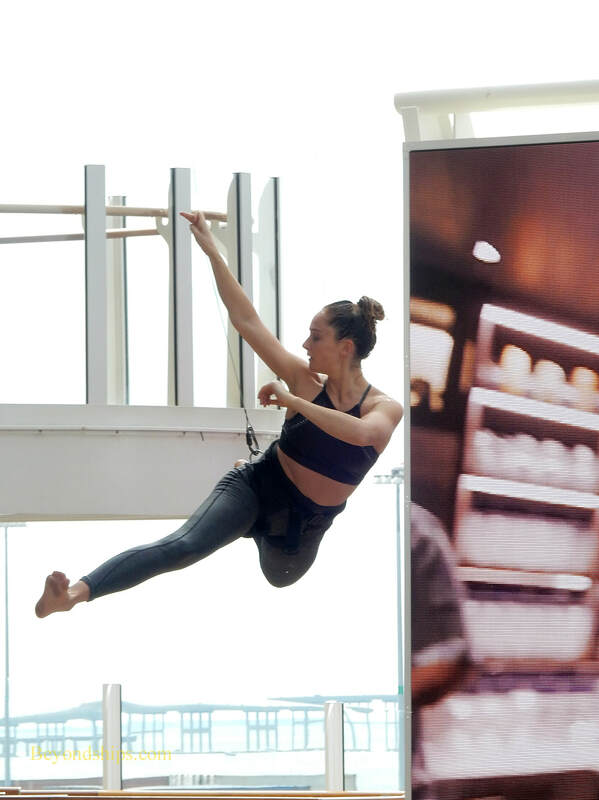 Shows in the Aqua Theater include diving, aerialists. 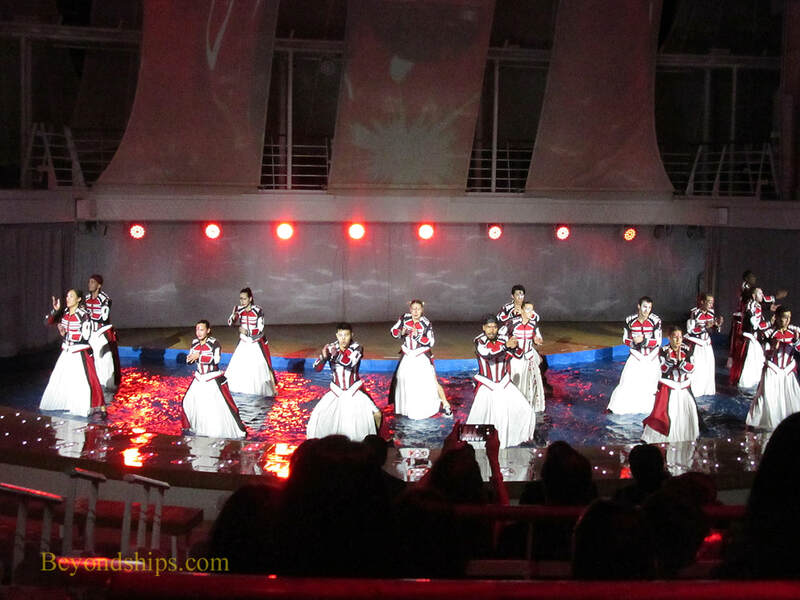 acrobats and synchronized swimming. 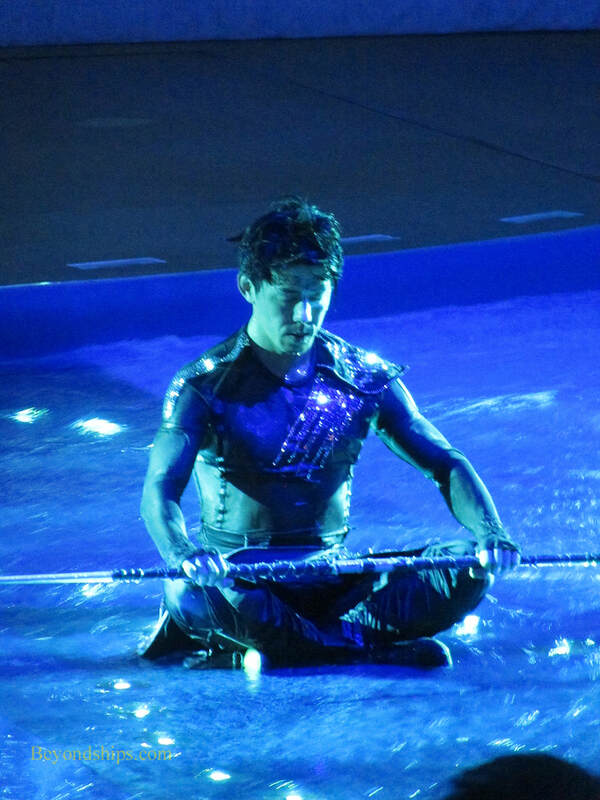 However, there is also music, costumes and theatrical lighting. Two different shows are presented here. ​Movies are also shown in the Aqua Theater. Symphony's third major entertainment venue is Studio B. 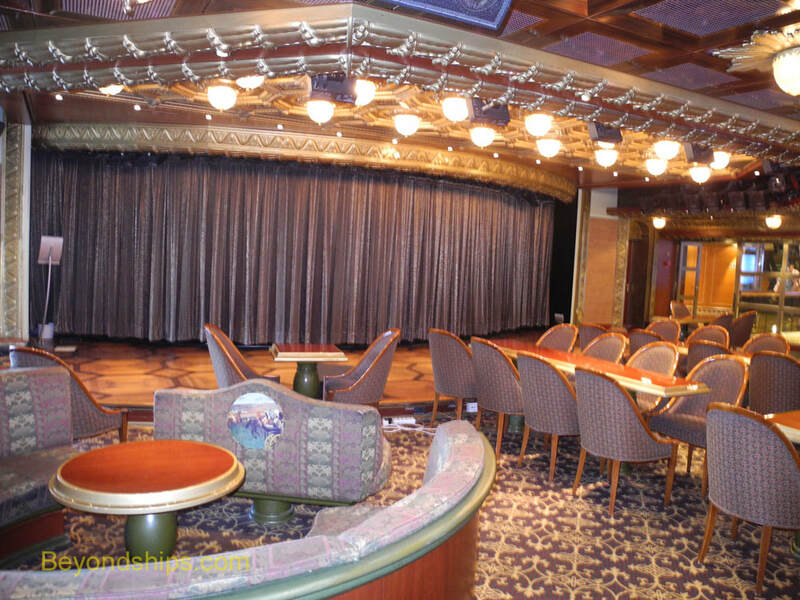 It is the ship's ice rink theater. Here, the ice cast puts on two different shows featuring world class skating. The shows are presented as theatrical productions with costumes, lighting and music. 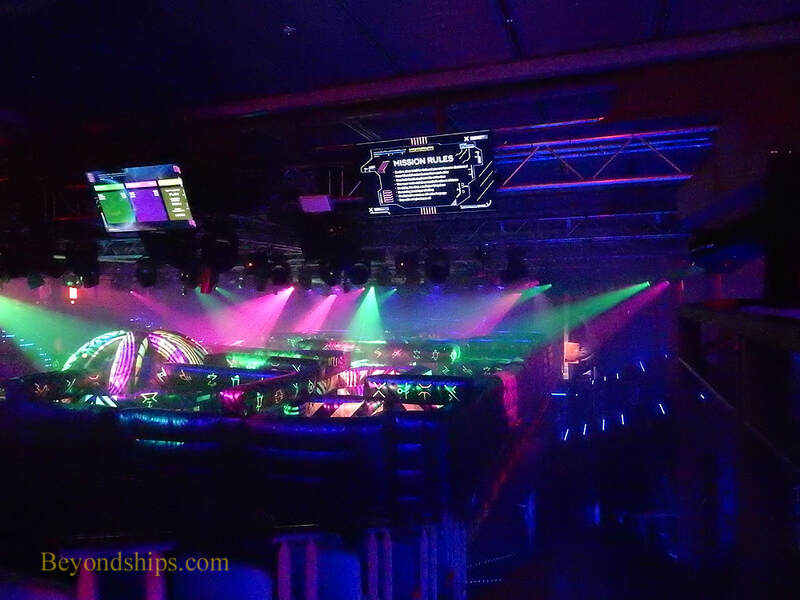 In addition, Studio B serves as Symphony's laser tag arena. The ice is covered and a laser tag labyrinth is laid out on top of it. The Attic is Symphony's comedy club. Each show features monologues by two stand-up comedians. 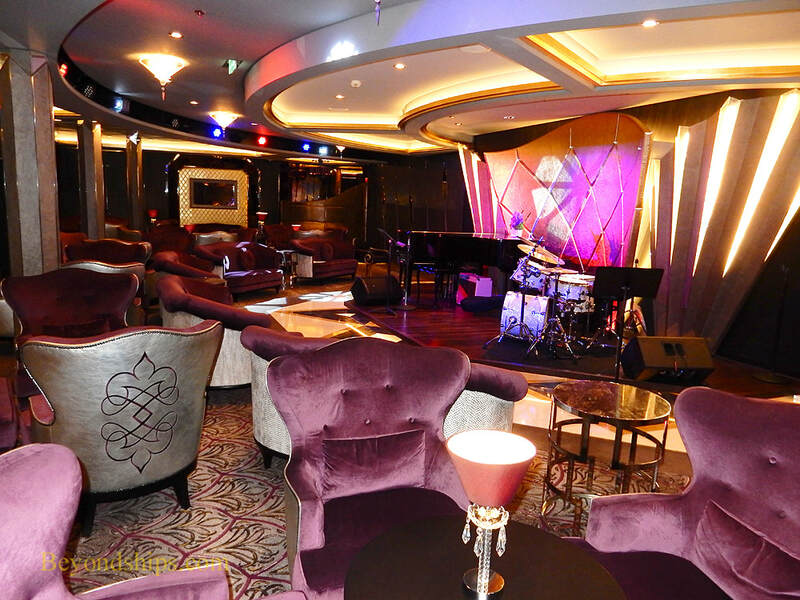 Across the corridor is Jazz on 4, which as the name indicates, presents live jazz music. 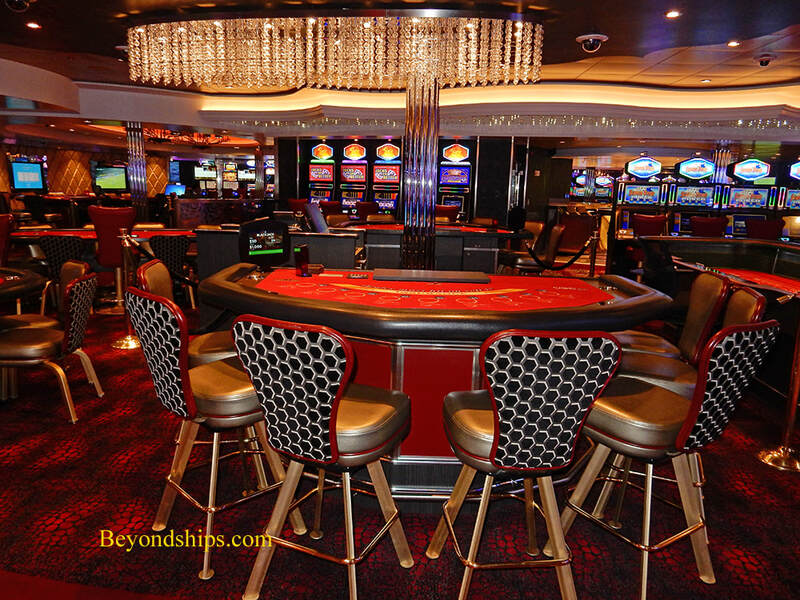 Casino Royale is a large Las Vegas-style casino with slots and gaming tables. 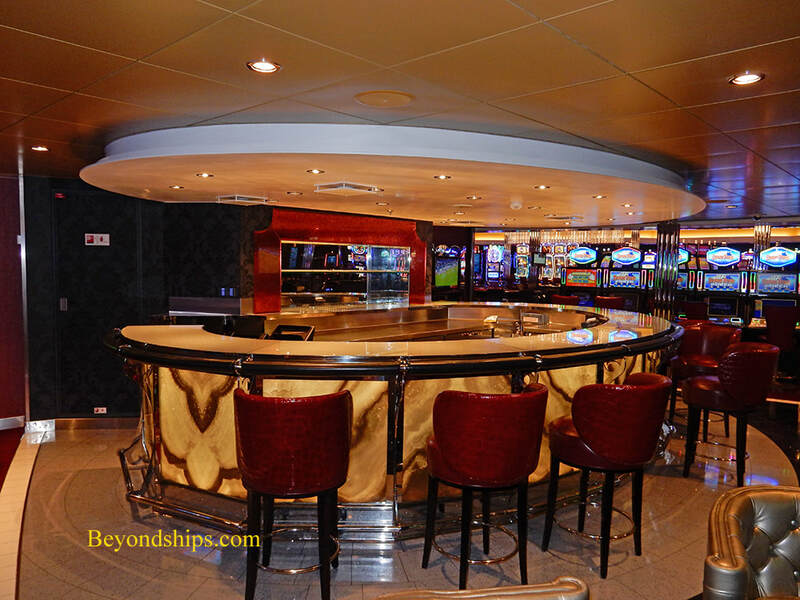 It also has its own bar.